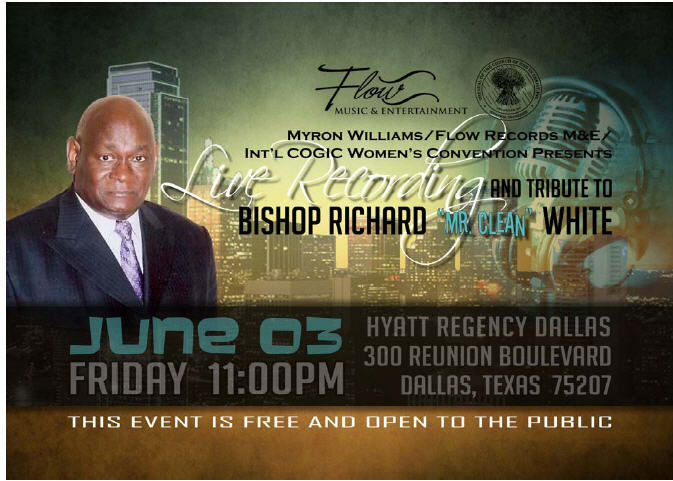 Flow Records will salute Bishop Richard “Mr Clean” White with a live recording session on Friday, June 3, 2011 as the finale to the Church of God in Christ Annual Women’s Convention Crusade in Dallas, Texas. 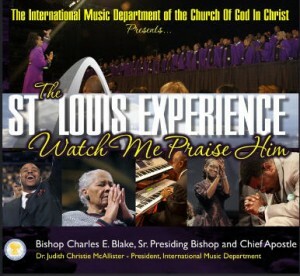 Bishop White has been a fixture in gospel music for well over 40 years, recording several albums for the Savoy record label as well as having composed some of gospel music best loved songs including Your Tears and I Don’t Want to Lose Touch for Bishop Paul S. Morton, Jesus Dropped the Charges for the O’Neal Twins, The Will of God for the COGIC International Mass Choir (featuring Karen Clark Sheard), Bend Don’t Break and God Is Not Through Blessing You for the GMWA Mass Choir and many others. In addition, Bishop White is a celebrated preacher, having conducted revivals across the United States and abroad.